If imitation is the sincerest form of flattery, these innovator drugs should be blushing. May 9 saw the latest estimate of the potential size of the market for biosimilar drugs—$167 billion by 2017, according to Companiesandmarkets.com. It’s an exponential leap from the estimate made earlier this year by Frost & Sullivan that biosimilar sales will reach $23 billion in 2019, up from what it estimated as $1.2 billion in 2013 sales. The past few years has seen a flurry of worldwide activity by drug developers in creating, winning regulatory approvals for, then launching biosimilars. The operative word here is “worldwide”—Europe remains miles ahead of the U.S. The European Medicines Agency authorizes 18 biosimilar drugs for market in the nations comprising the EU. Meanwhile in the U.S., the FDA continues to ponder draft guidances for how the agency will evaluate biosimilars. FDA insists it is moving ahead with careful review of new regulations. FDA’s Center for Drug Evaluation and Research (CDER) earlier this year published an agenda for new and revised draft guidances that included several new topics the agency said will be addressed: clinical pharmacology data to support a demonstration of biosimilarity to a reference product; considerations in demonstrating interchangeability to a reference product; labeling for biosimilar biological products; and reference product exclusivity for biological products. CDER also included a biosimilar topic published in previous agendas, additional questions and answers regarding implementation of the Biologics Price Competition and Innovation Act of 2009. One reflection of increased activity: This year’s list reports on 11 biosimilars to watch, as Avastin (bevacizumab) and Erbitux (cetuximab) have been added to reflect an uptick in announcements or disclosures about biosimilar versions of those drugs since 2013, while Genotropin (somatropin or somatotropin) has been removed for not generating as much activity. Following is a list of 11 drugs for which, over the past year, biosimilars have been launched to market somewhere in the world, were in clinical development, or whose development was ended. Drugs are listed by original brand name (generic name), followed by a list of drug developers with a brief summary of the status of their biosimilar, and its name where known; the nature of the drug and its indication; its 2013 sales (and the original drug’s maker or makers); and the drug’s patent status in the U.S. and EU. Avesthagen Pharma (APAG): The spinout of Avesthagen said November 19, 2013, that it signed a distribution agreement granting Greek-based Elpen Pharmaceutical rights to distribute APAG’s biosimilar darbepoetin alfa (Avdesp) in seven European Union countries (Bulgaria, Croatia, Cyprus, Greece, Romania, Slovakia, and Slovenia) and six non-EU territories (Albania, Bosnia, Former Yugoslav Republic of Macedonia, Kosovo, Montenegro, and Serbia). Avdesp is one of eight biosimilars marketed by APAG. Hospira: Retacrit marketed in EU, where it was authorized in December2007 for anemia associated with chronic renal failure or other kidney problems, adults receiving chemotherapy for some cancers. Also indicated to increase the amount of blood patients with moderate anemia can self-donate before surgery, and to reduce the need for blood transfusions in patients with moderate anemia about to undergo major bone surgery. In U.S., Phase III trial launched last year. Stada: Silapo marketed in EU, where it was authorized December 2007 for anemia that is causing symptoms in patients with chronic renal failure; anemia in adults receiving chemotherapy to treat certain types of cancer and to reduce the need for blood transfusions; and to increase the amount of blood patients with moderate anemia can self-donate before surgery. Nature and indication: Erythropoiesis-stimulating agent (ESA) for anemia due to chronic kidney disease (CKD) in patients on dialysis and patients not on dialysis; the effects of concomitant myelosuppressive chemotherapy, and upon initiation, there is a minimum of two additional months of planned chemotherapy. Patent status: Patent set to expire 2016 in EU; 2024 in U.S.
Amgen: Biosimilar in development, with pivotal trial launched in 2013, the company stated in a letter to shareholders accompanying its Form 10-K for last year. The biosimilar is one of four for oncology indications that Amgen is developing in collaboration with Actavis. Oncobiologics and Viropro: Biosimilar in development; one of six monoclonal antibody biosimilars on which the companies agreed to collaborate under an agreement announced February 25, 2013. Viropro has rights to manufacture the six products being developed by Oncobiologics, with Viropro holding exclusive commercialization rights to the six for Malaysia, while both companies will co-manage Viropro’s Penang, Malaysia Alpha Biologics biomanufacturing subsidiary. Patent status: Patent set to expire 2018 in Europe; 2019 in U.S.
LG Life Sciences: LBEC0101 completed two Phase I studies, both comparison of safety and pharmacokinetics to Enbrel; one was completed as of 2013 (NCT01725620); the other, as of 2011 (NCT01145950). Sandoz: Binocrit marketed in EU, where it was authorized August 2007 for anemia and chronic kidney. In U.S., the company said October 25, 2012, that it has started patient enrolment in a Phase III clinical trial, comparing safety and efficacy of biosimilar with reference product Epogen/Procrit in anemia associated with chronic kidney disease. Patent status: Patent set to expire in Europe June 29, 2014; data exclusivity ends 2016 in U.S. As a biologic there is no patent that specifically claims the composition of matter of cetuximab. Pfizer: PF-05280014 in Phase III development for metastatic breast cancer, the company confirmed in its May 8, 2014, pipeline update. Seven days earlier, the company disclosed on ClinicalTrials.gov that it was recruiting patients for the study, named REFLECTIONS B327-02 and designed to assess the biosimilar plus Paclitaxel in HER2 positive first line metastatic breast cancer treatment (NCT01989676). Stada Arzneimittel: Joined with Gedeon Richter in announcing plans August 2011 to collaborate on biosimilars for trastuzumab and rituximab. Richter agreed to buy from Stada trastuzumab for a “low single-digit million Euros figure,” they announce. Nature and indication: Monoclonal antibody; erbB2 TK Inhibitor; human epidural receptor 2 (neu) receptor antagonist for aggressive HER positive metastatic and adjuvant breast cancer, for aggressive HER positive metastatic stomach or gastroesophageal junction cancer. Patent status: Patents set to expire July 28, 2014, in Europe, and 2019 in the U.S.
AET BioTech and BioXpress: Biosimilar being co-developed under agreement announced October 25, 2012; companies will be jointly responsible for development, registration, and manufacture of the biosimilar, based on BioXpress technology. 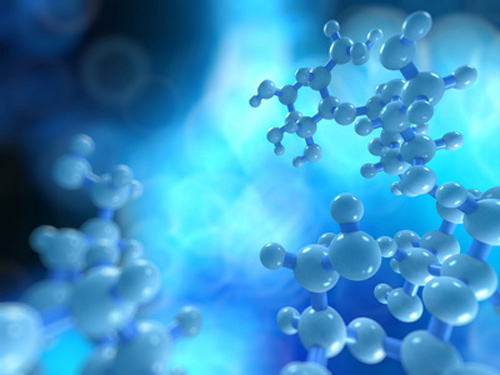 AET BioTech will provide further investment in the biosimilar based on committed long-term financing, and oversee any future commercialization of the product. Boehringer Ingelheim: BI695501 is the subject of a Phase I clinical study (NCT02045979) assessing the biosimilar’s safety and pharmacokinetics compared to Humira (adalimumab); the study is ongoing but not recruiting participants, the company disclosed April 30 on ClinicalTrials.gov. A similar study was completed in New Zealand last year. Fujifilm and Kyowa Hakko Kirin: Companies announced a 50–50 joint venture, Fujifilm Kyowa Kirin Biologics, to develop a biosimilar version of Adalimumab for rheumatoid arthritis. The venture is proceeding with preparations to begin clinical trials in Europe in the first half of 2013, the companies said October 24, 2012. Momenta: M923 predicted to be a biosimilar for either Humira or Enbrel;4 company has not confirmed which, but has said it plans a regulatory filing later this year. M923 is company’s lead biosimilar program. Sandoz: Two Phase III studies completed last year: PROTECT1, which compared the efficacy and safety of branded Neulasta with LA-EP2006 (NCT01735175); and PROTECT2, which compared the efficacy and safety of the biosimilar to LA-EP2006 (NCT01516736). Both studies measured the mean duration of severe neutropenia during treatment with myelosuppressive chemotherapy in breast cancer patients. Teva: Company withdrew application for Balugrastim (formerly Neugranin) in November 2013, citing ongoing consultation with the FDA. Launch delayed in 2011, when company reached settlement of litigation with Amgen in which it agreed not to sell Neugranin until November 2013 unless it first obtained a final court decision that Amgen patents were not infringed by the biosimilar. Patent status: Patents set to expire August 2015 in EU; October 2015 in U.S.
Ratiopharm: Ratiograstim marketed in EU, where it was authorized September 2009 for cancer, hematopoietic stem cell transplantation, and neutropenia. Authorization withdrawn voluntarily March 2011, followed two months later by formal European Commission withdrawal. Celltrion: Ramsima (formerly CT-P13) marketed in South Korea, having won approval in July 2012 as the first Remicade biosimilar to be approved in the world. Indicated for rheumatoid arthritis, ulcerative colitis, Crohn’s disease, ankylosing spondylitis, and psoriasis. Applied for marketing authorization in EU. Hospira: Inflectra marketed in EU and other markets, including the U.S., under license from Celltrion for rheumatoid arthritis (RA), ankylosing spondylitis (AS), Crohn's disease, ulcerative colitis psoriatic arthritis and psoriasis; European launch followed approval September 2013 by the European Commission. First monoclonal antibody to be approved through the European Medicines Agency’s biosimilars regulatory pathway. Nature and indication: Tumor necrosis factor (TNF) blocker for moderately- to severely-active rheumatoid arthritis in adults, in combination with methotrexate; Crohn's Disease in children 6 years and older, and adults who have not responded well to other medicines; rheumatoid arthritis; ankylosing spondylitis; psoriatic arthritis; chronic, severe, extensive, and/or disabling plaque psoriasis in adults; moderately to severely active ulcerative colitis in children 6 years and older and adults that have not responded well to other medicines. Patent status: Patents set to expire February 2015 in Europe, and 2018 in U.S.
Celltrion and Hospira: Conducting Phase I trial in South Korea of CT-P10 for RA and another Phase I trial for lymphoma. iBio: Biosimilar in Phase I development. Company says its iBioLaunch platform, a gene expression technology that causes nontransgenic plants to rapidly produce high levels of target proteins, addresses several multibillion dollar markets including “biosimilars/bio-betters.” Announced October 5, 2011 that it produces rituximab in nontransgenic green plants. Roche: CEO Severin Schwan was quoted in March 2013 as pushing back his company’s anticipated launch of a rituximab biosimilar beyond the 2016 date he had earlier cited in The Wall Street Journal, until the end of this decade. Samsung Biologics: Venture between Samsung and Quintiles halts development of SAIT101, in October 2012, reportedly due to uncertainty over biosimilar regulation in the U.S.
Teva and Lonza: On July 25, 2013, announce they will end four-year-old joint venture to develop, manufacture, and market biosimilar drugs, more than three months after Lonza issues a statement denying it will end the joint venture in response to its CEO, Richard Ridinger, telling the Swiss newspaper Finanz und Wirtschaft it was reviewing whether to continue the effort. Patent status: Patents expired November 2013 in EU, and set to expire 2018 in U.S.
2 In the May 6 press release announcing its first quarter 2014 results, Momenta added information on other unidentified biosimilar programs, saying it was “advancing toward multiple biosimilars development milestones,” and “expect(s) to complete the Part A study of our M402 program in the next several months, with data likely available in the second half of 2014." 3 Pfizer does not furnish individual sales figures for Enbrel in the U.S. or Canada, but combined those sales through October 31, 2013, in a category called “Alliance revenues” which also includes sales of Enbrel (in the U.S. and Canada through October 31, 2013), as well as Aricept, Eliquis, Rebif, and Spiriva.